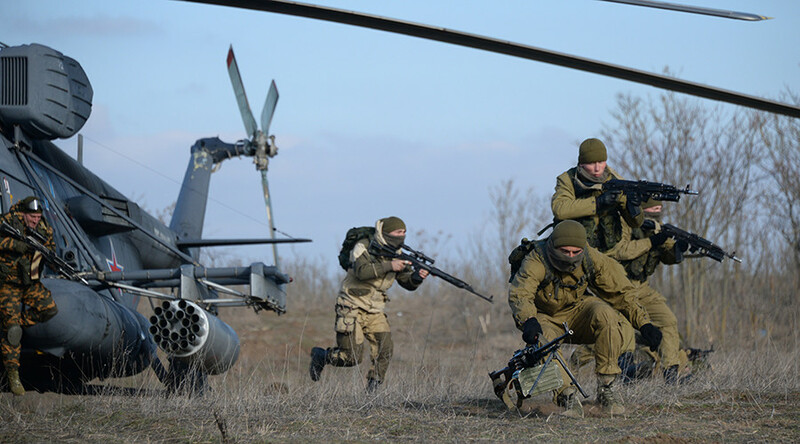 The overwhelming majority of Russians believe that their military forces are capable of repelling any threat from foreign nations, according to a recent public opinion poll. The research, conducted by the independent polling service Levada Center in January, showed that 81 percent of Russian citizens think that the country’s military forces can protect them against any military threat from other nations – a marked increase on the 60 percent figure from 2014. Eleven percent of respondents hold the opposite opinion and believe that the Russian military cannot protect against all possible dangers, while 8 percent said the question was too complicated to give a direct answer. The share of Russians who think that the threat of foreign invasion to the country is real increased to 65 percent – up from 56 percent two years ago. Twenty-eight percent of Russians think that currently there is no such threat, and 7 percent declined to give an answer to the question. In the same poll, researchers asked Russian citizens about their attitude to universal conscription, which remains the main way of manning the armed forces despite the significant progress of military reforms aimed at gradually replacing conscripts with professional soldiers. Fifty-eight percent of respondents think that the authorities should not abolish universal conscription (up from 40 percent in 2014) and 37 percent said they would prefer fully professional military forces (down from 48 percent in 2014). Levada Center researcher Karina Pipiya said in comments with Izvestia daily that the increase in the number of those who preferred conscription to contract service began in early 2014, when the Russian Federation accepted the return of Crimea, prompting a “sanctions war” from Western nations. “The existence of the enemy, real or imagined, requires wartime mobilization that guarantees protection in case of a real military conflict. This is the reason behind the increasing trust in Russian ‘power structures’ and the confidence in the military forces’ ability to defend the country,” Pipiya said. About a year ago, the state-run sociological center VTSIOM released the results of research which showed that around 68 percent of Russians thought that the likelihood of foreign military aggression against the country had increased. The same poll showed that 49 percent of Russians considered the state of their country’s military as good.